Age Related Memory Loss or Something More Serious? Posted on March 24, 2015 | Comments Off on Age Related Memory Loss or Something More Serious? Along with the publication of the book Still Alice by Lisa Genova, and the subsequent movie, comes a unique understanding of the devastation of Alzheimer’s disease. When, at age 50, Alice is diagnosed with early onset Alzheimer’s disease, we learn about her struggle to maintain her health, her memories, her profession, and the life she has worked so hard to build. We realize how terrifying this disease is for Alice, the family who cherishes her and the colleagues who highly respect her. If nothing else, the book has brought Alzheimer’s out of the closet and onto center stage. Currently, more than 5 million Americans aged 65 and older may have Alzheimer’s disease, an irreversible and progressive brain disease that destroys memory, language skills, and the ability to think, reason and live independently. 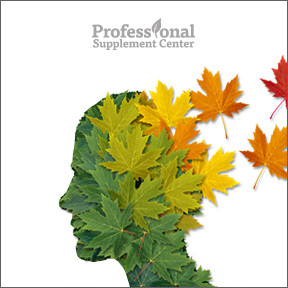 As the U.S. population ages, it is estimated that 13.5 million people will have Alzheimer’s by the year 2050. Over two-thirds of these people will be women. While the cause of Alzheimer’s disease is not fully understood, we do know that Alzheimer’s develops over a long period of time. Researchers believe that the causes of Alzheimer’s may include a combination of genetic, environmental and lifestyle factors. According to the National Institute on Aging, toxic damage to the brain begins up to a decade before noticeable symptoms develop. While we know that healthy brain neurons are critical to bodily processes, we don’t yet know why abnormal clumps, known as plaques and tangles, develop and spread throughout the brain or why neurons themselves lose the ability to function and communicate and eventually begin to die. As the most common cause of dementia among our older population, many view the loss of memory, reasoning, thinking and the ability to negotiate life’s daily challenges and activities as a normal part of aging. Warning: Memory loss, especially recent memory, that disrupts the normal flow of life, such as forgetting appointments, important dates or events. Typical: Changes might include forgetting names but recalling them later. Warning: The inability to work with numbers or follow recipes. Typical: Occasional error when balancing a bank statement. Warning: Confusion with time or place. Typical: Forgetting what day it is but remembering later. Warning: Trouble following a conversation and struggling with vocabulary. Typical: Occasional trouble finding the right word. Warning: Poor decision making skills or forgetting about personal hygiene. Typical: Once in a while making a bad decision. Warning: Personality changes such as confusion, depression, anxiousness or fear. Typical: Occasional irritability when routine is disrupted. Warning: Isolation from social activities, hobbies or prior favorite activities. Typical: Taking an occasional time out from obligations. If it all sounds depressing, take heart. Scientists have developed a cognitive test that can help determine if memory impairments are a result of the normal aging process or are due to very mild Alzheimer’s. While Alzheimer’s is most often diagnosed when the disease has already substantially progressed, cognitive testing is helpful for early treatment recommendations. Although not a cure, early treatment can help preserve function for a period of time. Medications that regulate neurotransmitters may also help for a time. Researchers at Mt. Sinai Hospital in New York are currently testing a new drug treatment that may slow the progression of the disease and help preserve precious memories. Additionally, ongoing clinical trials are studying interventions that include cognitive training, physical activity, antioxidants and very importantly, nutrition. There are also associations between cognitive decline and other age related diseases such as high blood pressure, heart disease, obesity and especially diabetes. Currently, we know that a healthy eating plan, such as the Mediterranean diet, physical activity, social engagement and mentally stimulating activities can all support healthy aging. Newer research suggests that good nutrition and other healthy lifestyle factors, such as frequent exercise and not smoking, have long lasting effects on overall health and wellbeing and may help to reduce the risk of developing cognitive decline and Alzheimer’s disease. This entry was posted in Home and tagged alzheimers disease, Memory Loss. Bookmark the permalink.